Amazon is an international online shopping store selling anything from the earth's biggest selection of books, magazines, music, DVDs, videos, electronics, computers, software, apparel & accessories among many others. BongoHive is playing a key role in helping entrepreneurs and startups grow in Zambia. Well done Lukonga - keep flying the university flag high. PGDip (Maritime Studies)Mandela Alumnus Siboniso Dlamini a Marine and Maritime Studies researcher as well Chairperson of the Marine and Maritime Association at the University who has been appointed as the Southern African (SADC) Regional Associate on the International Executive Committee of the Youth Alliance for Leadership Development in Africa (YALDA). 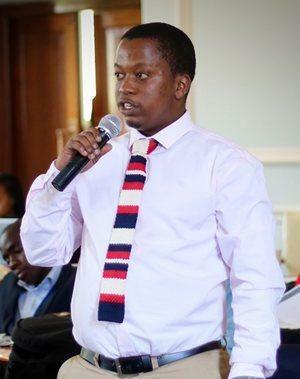 As the regional associate, Siboniso will act as the chief YALDA representative in the region with his responsibility being to support all existing branches and ensure that they are fulfilling their respective obligations. Mandela Alumnus Tasneem Fredericks will be part of the panel discussion. The topic is, Rohingya Apartheid: the world's fastest refugee crisis.